If you are arrested for a crime in Wyoming, the court is going to take several factors into consideration. What he or she will look at is your criminal history. Have you failed to appear for court before? Mainly the court wants to make sure that you are going to be present for the hearings and address the crime that has been alleged against you. Ties to the community are important to the judge. 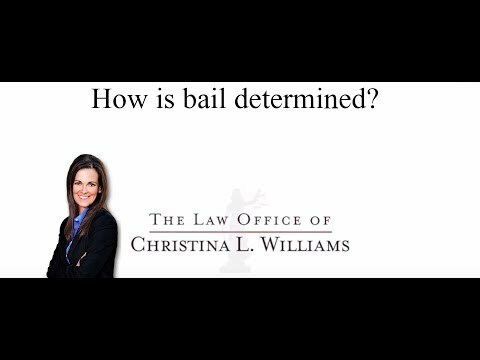 If you are from the community in which you have been accused of the crime and you own property and have family in the community, that will help keep your bond lower. The court is also going to consider the seriousness of the crime that has been charged against you. That is, what is the maximum penalty and assess whether you will flee the jurisdiction in order to avoid prosecution because the penalty is so steep. Finally, the court considers the safety of the community. That is, if it’s a crime that say involves alcohol, a DUI, and you are a multiple offender, the court will consider whether or not you will follow the courts orders to not drink and drive. It always helps to get local counsel and to let the judge know that you’ve hired a local defense attorney and that you do not intend to flee the jurisdiction. That you intend to face the prosecution and defend what the charge alleged against you is.